When you think about it, there shouldn’t even be such a thing as “sustainable tourism.” In an ideal world, it’s a redundant phrase. Tourism should have, from the very beginning, always paid respect to nature, to local communities, and to future travelers. But as it is, efforts to improve the way we travel and cater to travelers have become vital these recent years when climate change, landfills, and marine debris are humanity’s most pressing concerns to date. Sustainable travel is more than bringing your own straws and refusing plastic. It requires inclusion and the collaboration of every single person — of tourists, tour guides, tourism boards, and, most especially, local government units. By being proactive advocates of conscious consumerism and the low-impact movement, we can help save the world from its destined ruin. Sustainable tourism begins with us — the ones who explore the world yet harm it in the process. As tourists, we have to be mindful of our travel choices and behaviors during our trips. Some ways we can be kinder to the environment is by prioritizing local destinations instead of faraway countries to minimize your carbon footprint, staying in sustainable hostels and B&Bs, and bringing around your zero-waste travel kit. We must also respect natural resources and local communities by taking nothing and leaving nothing, and disposing our trash properly and taking part in local initiatives. We should also go the extra mile and help educate local communities on how to care for their environment, and travel consciously in a way that benefits and possibly enhances the place we’ll be in. Without education and inclusion, there is no way we can effectively fight against the worsening effects of the world. It’s imperative for local communities to understand the impact of their own actions in the place they live in. Through initiatives, summits, and talks in schools, offices, and barangays set by NGOs, LGUs, school systems, social entrepreneurs, and even those in the tourism industry, locals can become aware of the exact state of the world at the moment and what acts, no matter how simple, can save it — such as proper waste disposal and collection, lessening plastic waste in restaurants, stores, and resorts, and making use of local sources for their products and services. Education and inclusion isn’t difficult to do. It can be something as simple as zero-waste fairs like The Good Trade conducted quarterly to help consumers easily make the switch to a zero-waste lifestyle, or community get-togethers that discuss different sustainability topics like MUNI PH’s MUNI Meet-ups. 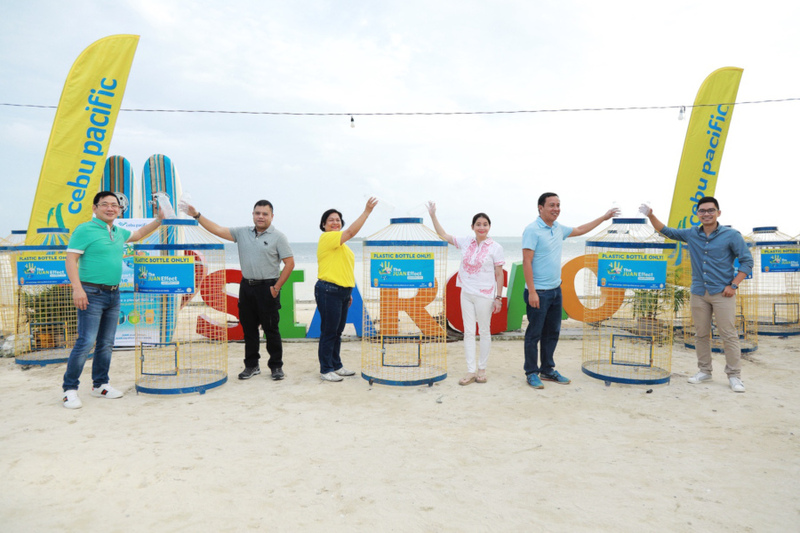 It could also be something as grand as Cebu Pacific’s #JuanEffect movement, launched in August 2018 and again mid-January 2019 in Siargao Island in partnership with the DOT, DENR, DILG, and local government units. 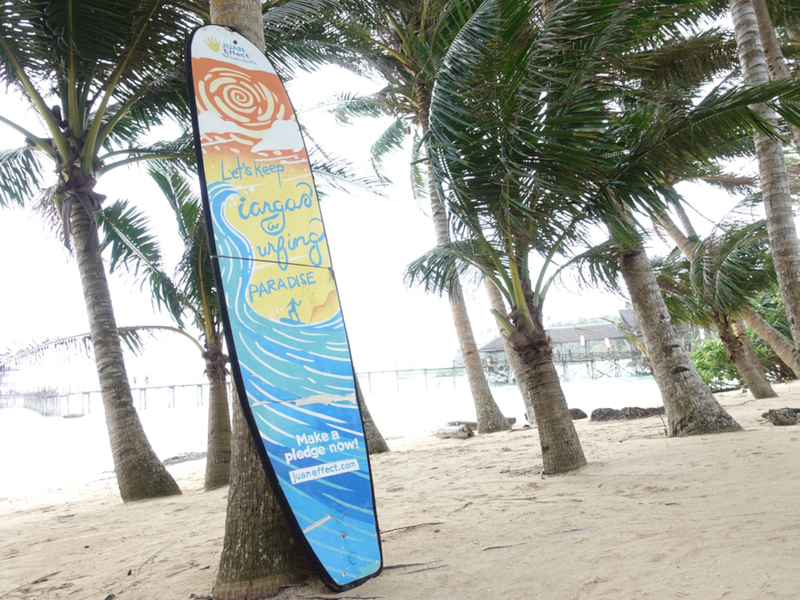 Through this effort, Cebu Pacific is able to help tourists and the local community practice proper waste disposal and collection with specially-made plastic bottle receptacles to be distributed across key locations in Siargao, as well as inspire and inform locals to continue being advocates of change through a colorful underwater-themed mural by rising artist and muralist Anina Rubio. 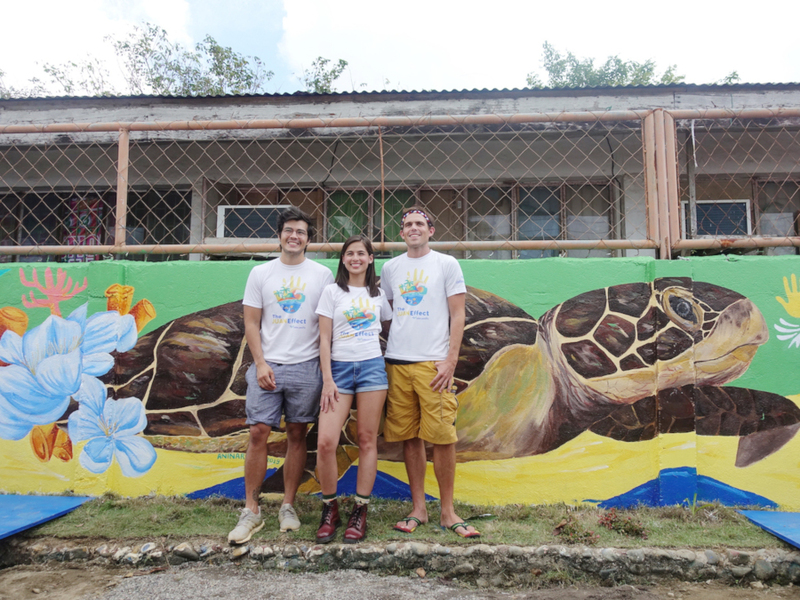 And with the support of Juan Effect ambassadors Erwan Heussaff, Jasmine Curtis-Smith, and Kyle “Kulas” Jennerman, this movement can engage communities beyond Siargao so they too can pledge to be the change the world needs to see in their own areas. As the primary means of travel, airlines must also consider their contribution to the world’s waste. According to the International Air Transport Association, the average passenger “generates 1.4 kilograms of waste per flight, with the total amount of passenger waste for 2017 sitting at 5.7 tons.” every year from the plastic utensils and food containers they supply onboard. Some airlines have started to cut down on their plastic usage as a result in the recent year. Portuguese Airline Hi Fly became the very first airline to conduct a plastic-free flight last December 26, 2018, replacing all plastic and single-use items with recyclable and compostable materials. Air New Zealand had previously announced that it has removed straws, coffee stirrers, toothbrushes, and plastic packaging off its lounges and aircrafts, and is eying to ban more in the coming year. Alaska Airlines and Delta have also begun scrapping its use of plastic straws. And locally, Cebu Pacific had also declared that it will start using bio-compostable utensils, biodegradable paper cups, and compostable wooden stirrers on all its flights. There is only so much we simple citizens can do to save the environment. Ultimately, it’s going to take the collective effort of those at the top to help bring the change we need to our communities. We rely on the voices of our non-government organizations and social entrepreneurs to call out and demand accountability and action from companies who continue to produce waste. We rely on our tourism boards and tourism workers to ensure the environment is at its best shape and that visitors know how to respect it by rejecting mass tourism and, instead, promoting the improvement of the livelihood of others, the protection of nature, and preservation of local culture. We rely on big companies and corporations to understand the role they play in driving social change. It’s not about what will make them earn more profit now; rather, it’s about how they can enhance the livelihood of its stakeholders through greener, more sustainable ways. In reducing their waste, improving their work conditions, launching green initiatives, and limiting their carbon footprint, they would have made their mark on making the world a much better place. Lastly, we rely on the government to enforce greener policies and drive the change towards environmentally sustainable growth that benefits all life. Sustainable tourism isn’t a solo effort. We all have to work together, learn from one another, and give each other hope. And if we don’t start now, then when? What are your thoughts about how we can sustainable tourism work in the next few years? Share them in the comments section below!